Cryptozoology is a branch of paranormal study surrounding animals that have yet to be identified, or confirmed to exist. Perhaps the most popular example of this research in North America is "Big Foot." 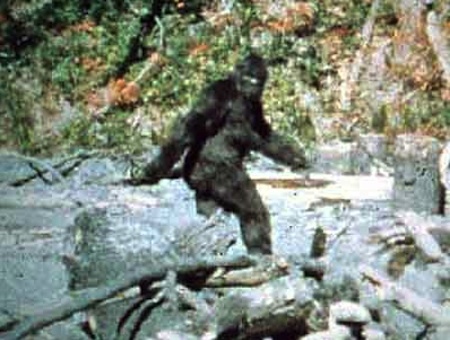 The legend of Big Foot has been around for decades, with new pictures of this animal/man surfacing in 2012. This picture, like all of the ones before it was deemed a hoax. This picture was actually a Canadian researcher in a ghillie suit made to look like Big Foot. But there's so much talk around this legend, there has to be something out there right? 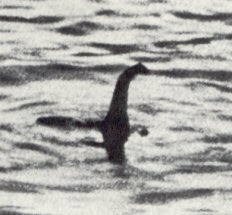 The next most popular example of Cryptozoology has to be the Loch Ness Monster. This urban legend was started in 1933 by a couple in the Scottish Highlands. A mere few months later, one of the most iconic pictures of all time was published. Both of these myths have had so many reported cases and incidents, but even with all of today's technology, nothing has every actually been scientifically documented. Do these monsters exist? Or are they just a product of good story telling and human subjectivity? Cryptozoology is one of the most fascinating subject. I believe there are undiscovered animals that will shock human beings. However, I do not think its the Loch Ness Monster or Big Foot. This world contains many different and fascinating animals and I believe most of them are deep inside the sea. A friend and I made a joke once that since everybody has some sort of camera, "sombody's gonna get a pic of Big Foot eventually",Still, whether or not these monsters is still up for a debate, but hey, stories are also meant to teach-who knows what cryptozoology is meant to teach. Interesting article(and thanks for putting in a pic of Nessie to illustrate your point-I always enjoyed that legend in general)!